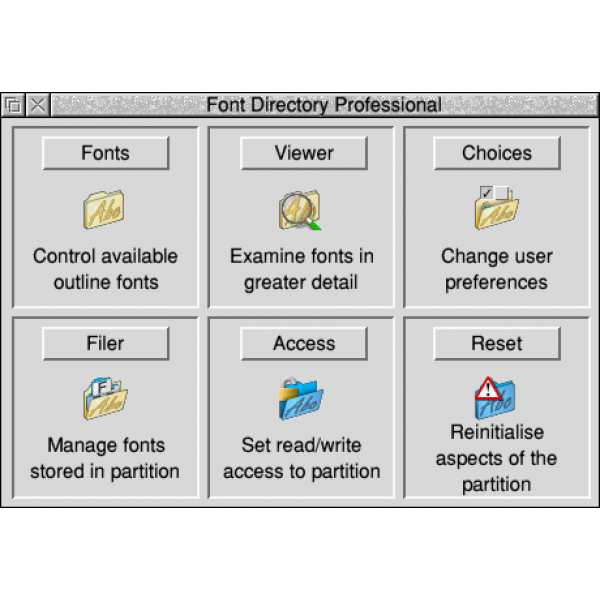 Font Directory Pro is a system for managing outline fonts for RISC OS, originally produced by LOOKsystems. Suitable for RISC OS 3, 4, 5, or 6. 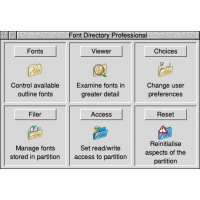 Each copy includes a printed copy of the 108 page Font Directory Professional User Guide, installer, and 2 support tokens which can be used to ask technical support questions. Please note that to qualify for an upgrade from an earlier version of Font Directory Pro you will be contacted prior to despatch to validate your existing registered copy (by email).